Our supportive team of deal hunters has listed the latest Curved Tv deals and special offers available for you. Take this wonderful chance to find what you are searching for and get them at very low prices. 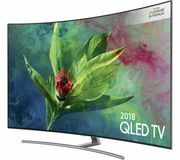 Choose among the different UK retailers including Very, Argos, and Currys PC World on where you can get the best cheap Curved Tv deals and bargains. With great choices of Curved Tv units available, you are sure to find exactly what you are looking for. You can save as much as 60% on selected units. Currys Sale: Samsung 49in 4K Curved TV £649 was £899. SAVE £250! 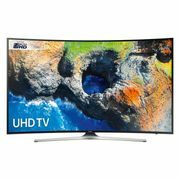 Find amazing deals on curved TV from major brands here at Latest Deals! Curved TV’s are said to have a more natural shape that takes advantage of our round eyes’ peripheral vision which allows watchers to enjoy an immersive experience and it also gives a wider viewing angle. If you’re on the market for one, Weigh in on these pros and cons first to help you decide. Immersion. 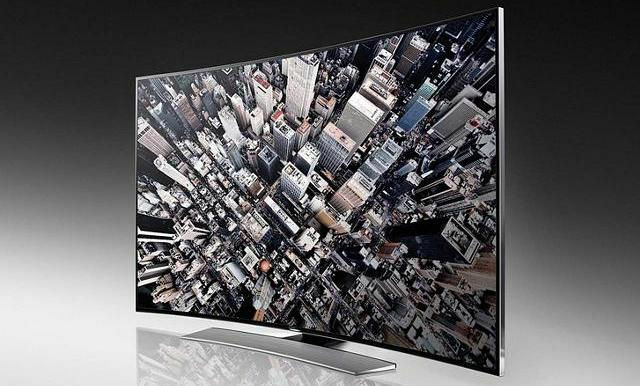 The curved screen dimensions allow viewers to feel engulfed in the television. Wider view. Curved TV screens image appears to stretch further across the wall and makes you feel like seeing more of your field of view. Depth. Watching in a curved tv screen enhances the view of perception of viewers and make them feel like they are watching in 3D. Contrast. Unlike flat TV screens, curved TV screens focus their lights on the viewers which they deliver twice as much perceived contrast. Optimal viewing. Whereve you seat, you can get a best viewing position. Expensive. Curved TVs are more expensive that flat tvs. Size. To completely enjoy the curved TV’s advantages, you have to maximise the size. Availability. Samsung is the only brand which currently manufacture curved tvs. Not ideal to wall mount. Curved TV’s are so awkward to hang. They won’t give you a sleek design and so it is better in a desktop table or stand. Limits viewing angles. It can be a negative effect when you watch too far from the TV. You can seat 35 degrees on either side of directly opposite screen for the best view. Viewing angle. Flat TV viewing image are almost linear while Curved TV the side TV opposite to you will have less picture quality degradation. Size and Immersiveness. Flat TV has lesser viewing image effects than Curved TV due to its curve edging but only with a small degree. Aesthetics. Arguably, curved tv’s are more attractive to look at than flat tv’s. But when it comes to wall mounting, flat tv’s are perfect for hanging. Reflections. While Flat TV’s have a standard reflection, Curved TV’s reflections are stretched and distorted. 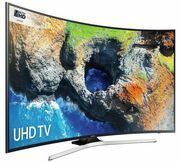 Depending on what TV you set up in your home, flat TV and curved TV have both advantages and disadvantages. It is up to you whether you will buy a sleek look curved tv or good for wall mounted flat tv. 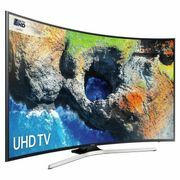 Get additional money off on curved TVs at Currys by using discount codes! If you are looking for a new TV experience with curved tvs then you’ve come to the right place.